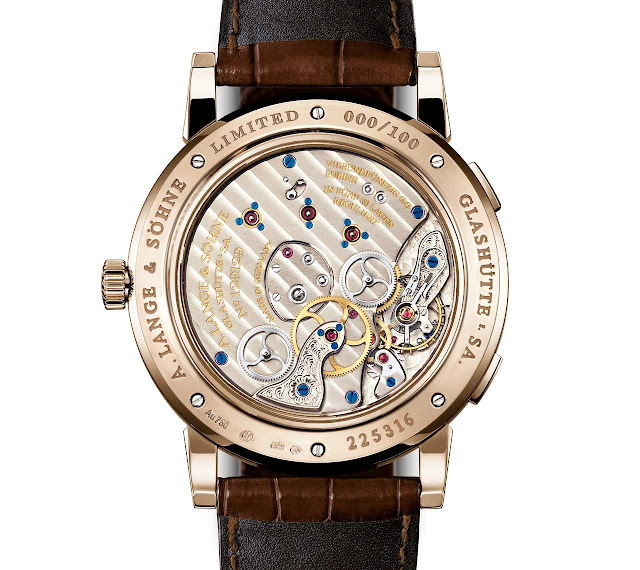 A. Lange & Söhne just presented a special edition of the Lange 1 Time Zone in honey gold. Exactly 22 years ago, on October 25th, the first Lange collection was presented in the Dresden residential palace bringing the exceptional A. Lange & Söhne watchmaking tradition back to life. At the event, company founder Walter Lange and his partner Günter Blümlein acquainted journalists and dealers with the first four timepieces of the new era, among them the now iconic Lange 1. 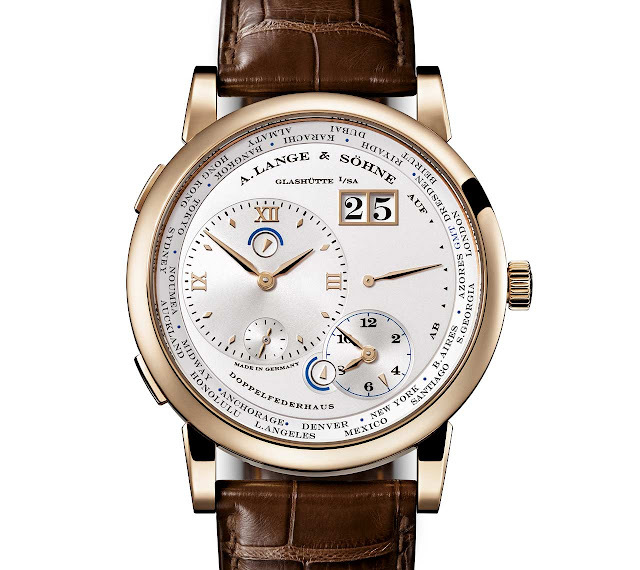 The new version of the Lange 1 Time Zone - a model that was first introduced in 2005 - will be a limited 100-watch edition available exclusively in the 17 A. Lange & Söhne boutiques. The ingenious layout of the solid silver, argenté dial delivers a clear reading of the home time and the time in a second time zone which can be easily set via the the lateral pusher. By pressing it, the rotating city ring with the 24 place names from west to east advances smoothly. In this exclusive version, the ring uses Dresden – instead of Berlin as in the standard version – to represent Central European Time. Additionally, the dots between the city names and GMT are blue instead of red. The previously black peripheral ring of the second time zone has the same blue hue as well. The 41.9 mm case is crafted from 18-carat honey gold, a special alloy which is harder than other gold alloys while delivering a beautiful a distinctive warm tone. This and the PP 5110 are my favorite world time watches. Hard to decide. 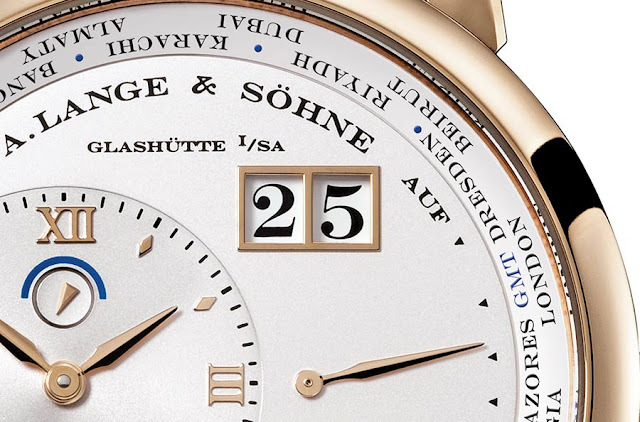 A. Lange & Sohne Lange 1 Time Zone in honey gold. 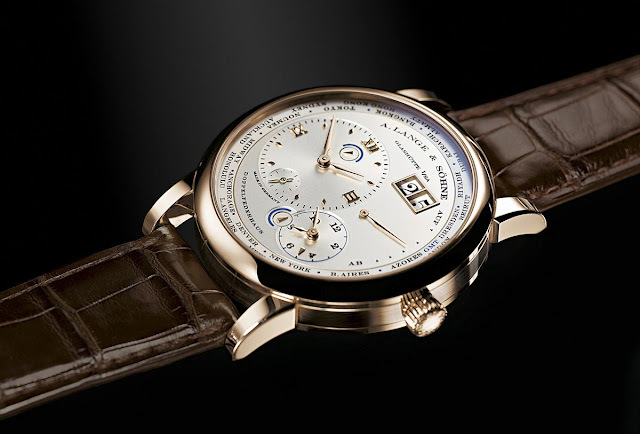 A. Lange & Söhne just presented a special edition of the Lange 1 Time Zone in honey gold. 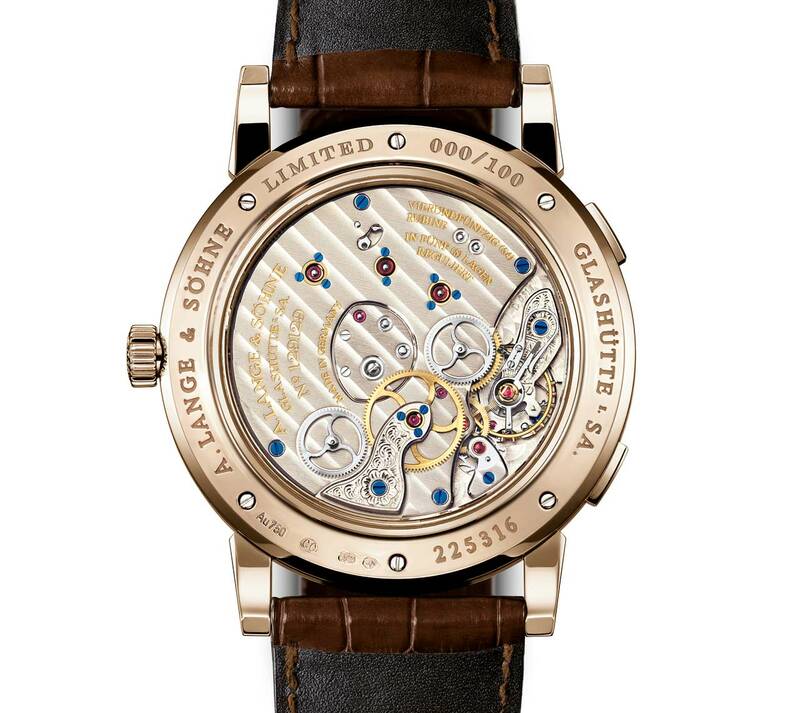 The new version of the Lange 1 Time Zone - a model that was first introduced in 2005 - will be a limited 100-watch edition available exclusively in the 17 A. Lange & Söhne boutiques. 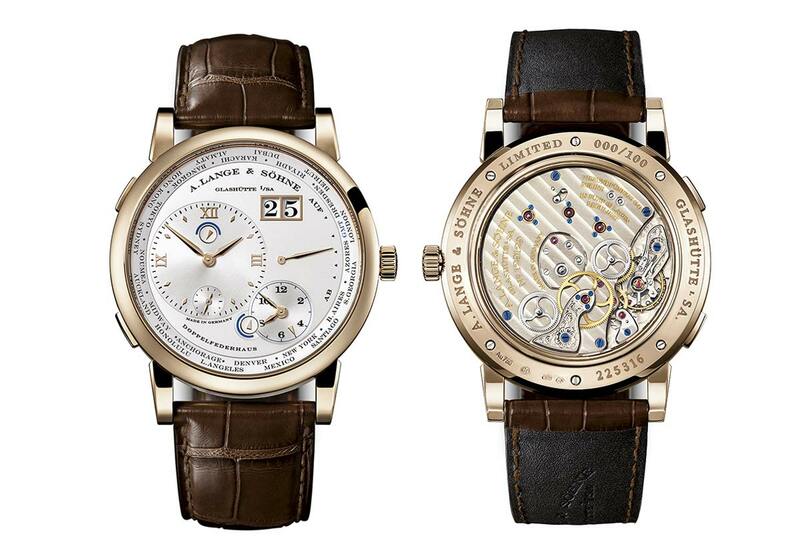 Price on request in the A. Lange & Söhne boutiques.